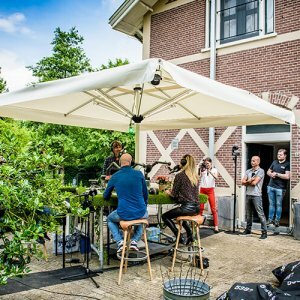 More and more people experience their garden as an extension of their homes. 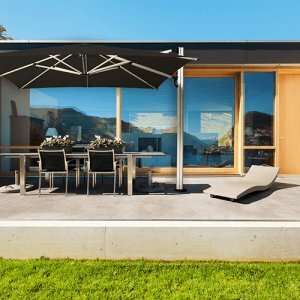 A cozy and functional garden allows you to get away from the busy modern world for a while, and is an escape into paradise. 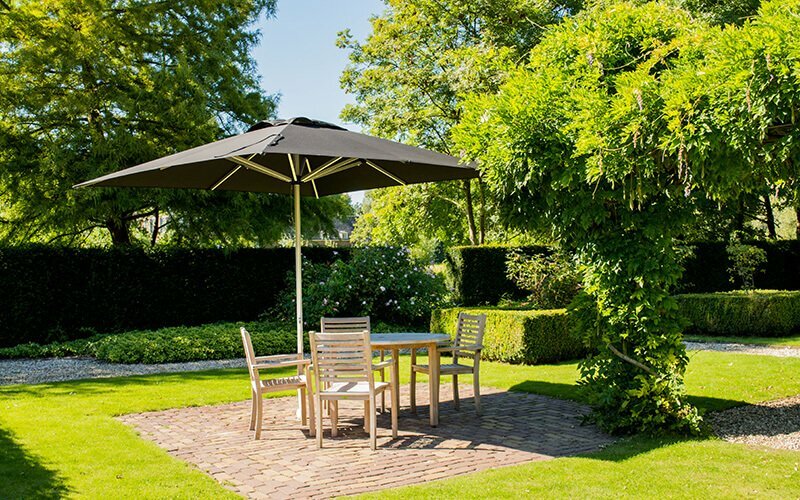 With a Solero parasol, big or small, you’ll create a unique, elegant and sheltered spot in your garden. 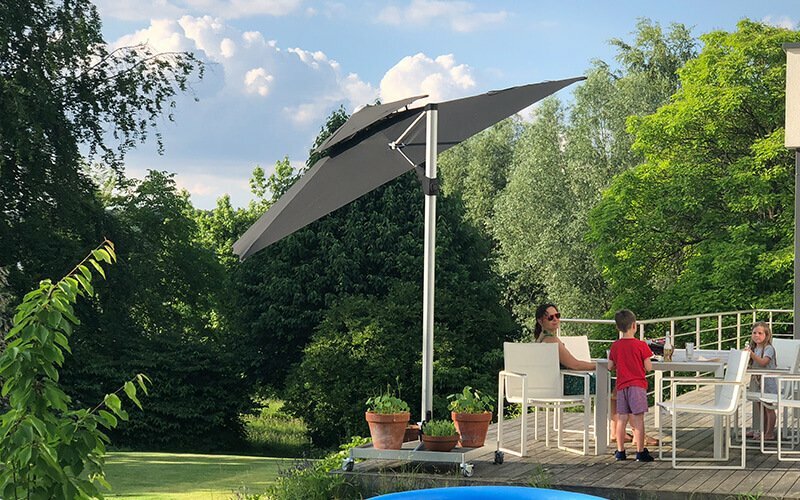 You can relax, read, and just enjoy life in the shade. Enjoy chirping birds, a good book or even better company. 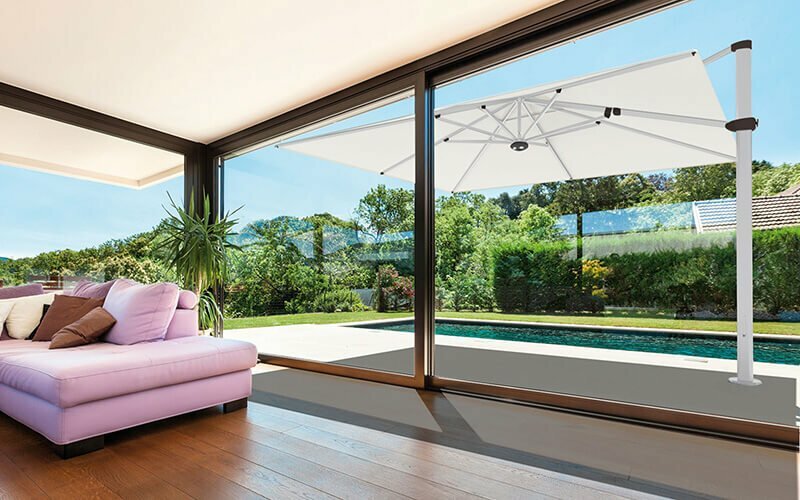 Turn your garden into a lounge with a beautiful Solero garden parasol that is both fade and water resistant. Create your own Solero-moment. 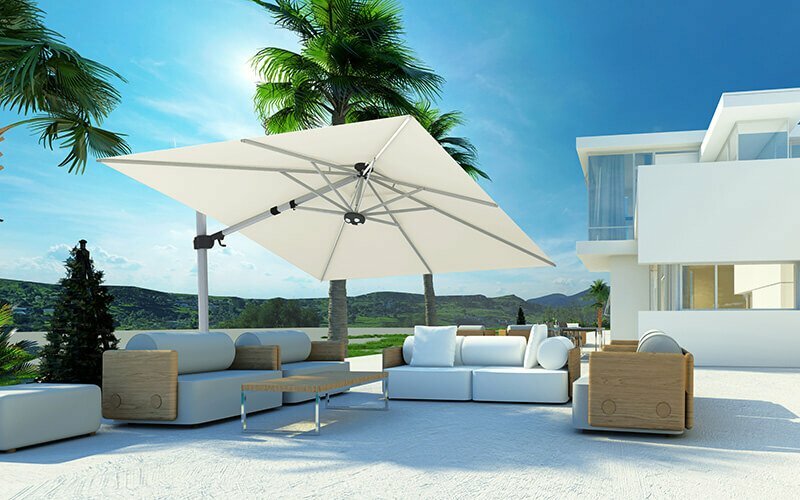 Read on to see all the options and benefits we offer. 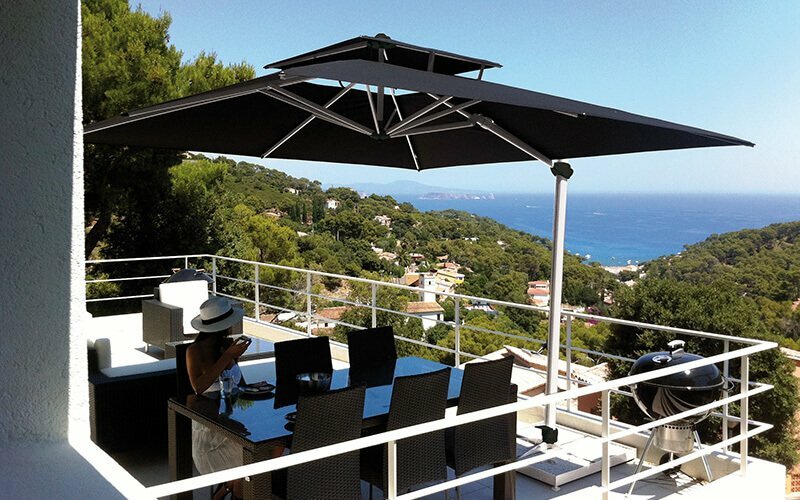 Solero delivers an extensive range of high-end garden parasols, available from our stock. 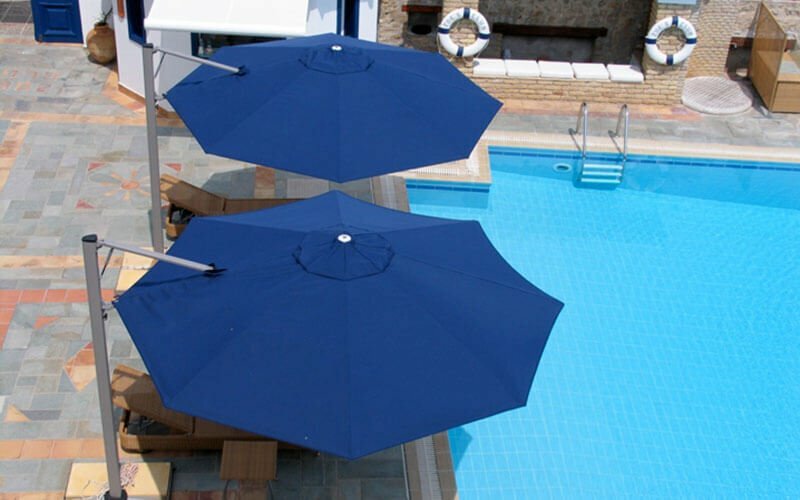 Choose your own color of completely fade resistant cloth. 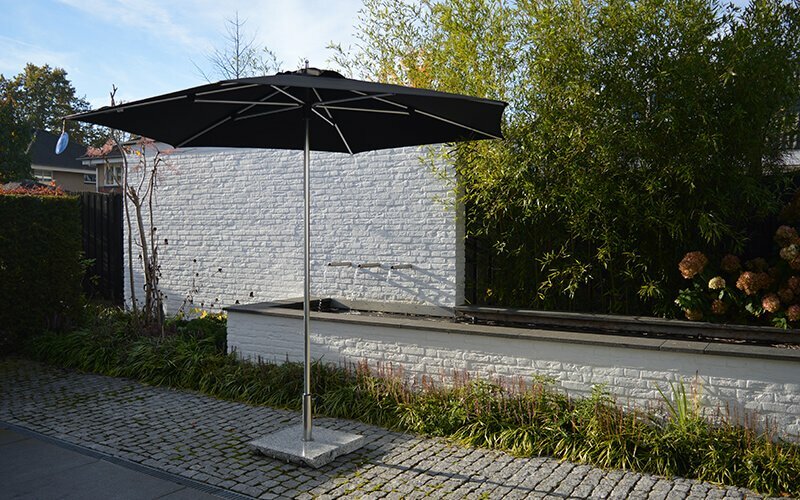 Solero parasols assure that black will still be black, years from now. 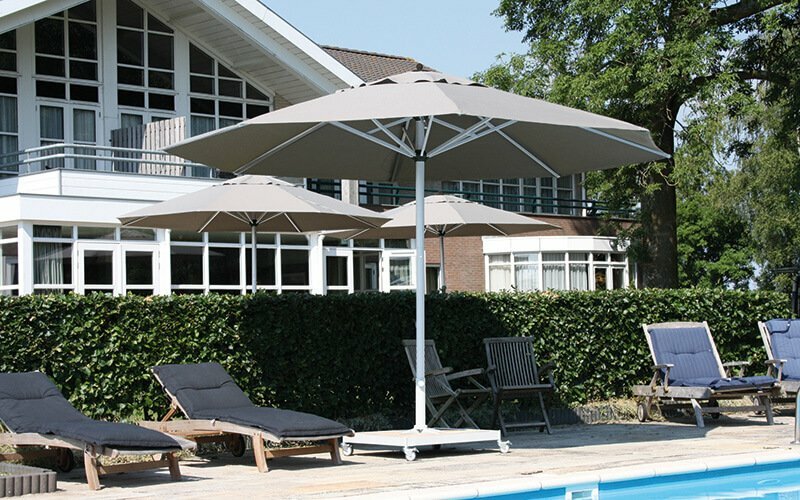 No matter which color you prefer, it will always have a shade of green, as the entire parasol is 100% recyclable. 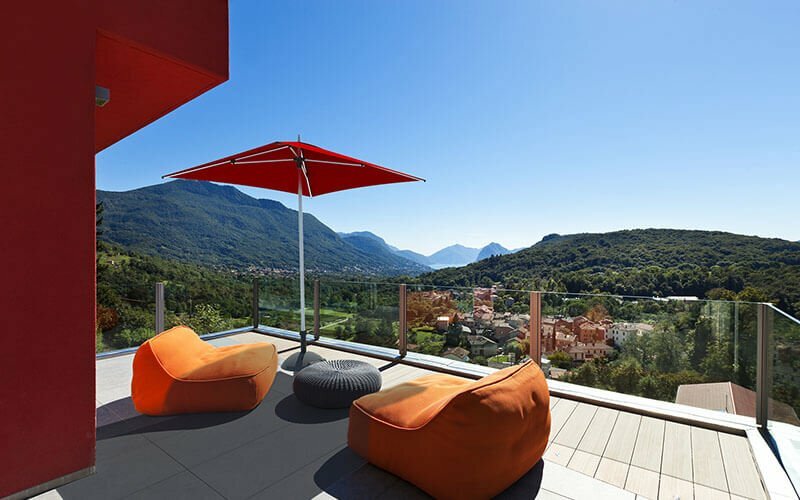 What are the dimensions of your terrace? Do you prefer a quick stock delivery or a tailor-made solution? 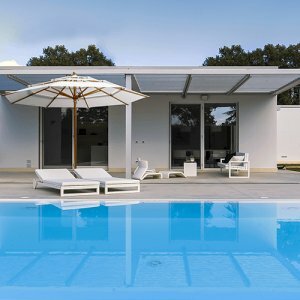 How often will you need to move the garden parasols? 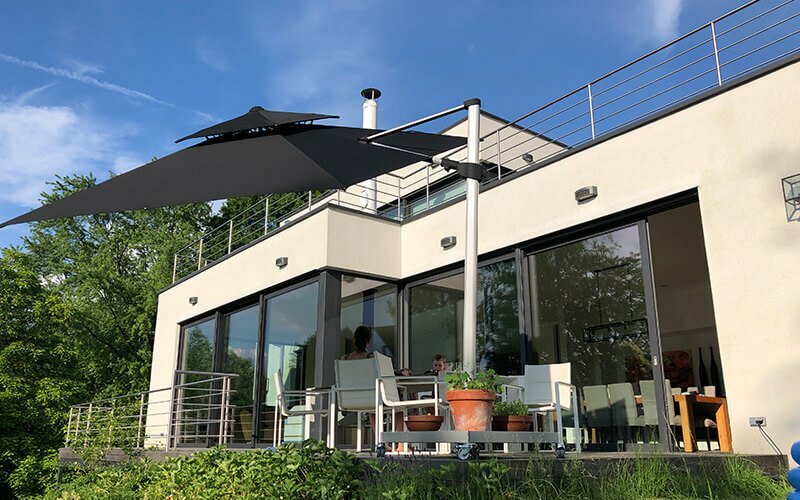 Are you looking for a floating garden parasol or a garden parasol with a middle pole? 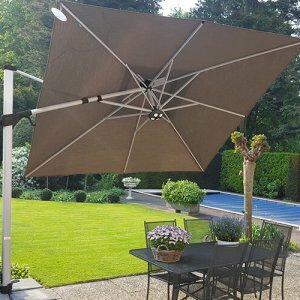 Do you want to be able to quickly open and collapse the garden parasol? 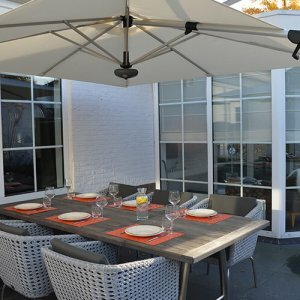 Should your garden parasol be able to open and close over a table without having to move your garden furniture? 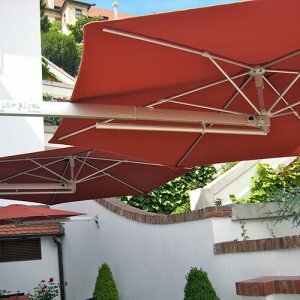 Do you want the canopy to be fade and water resistant? Are good value service and spare parts available? 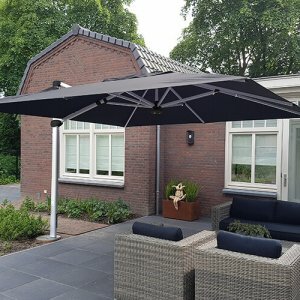 Do you want to anchor your garden parasol into the ground? 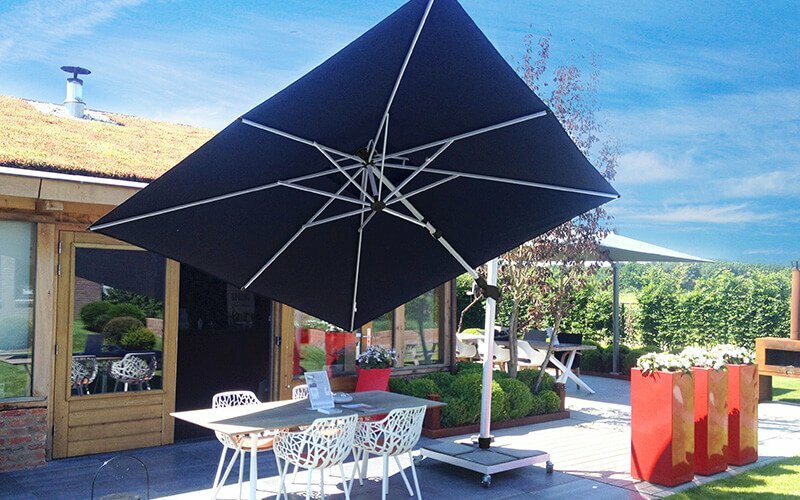 Do you want to be able to upgrade your garden parasols with lighting or heating? Good advice from an experienced expert is important. 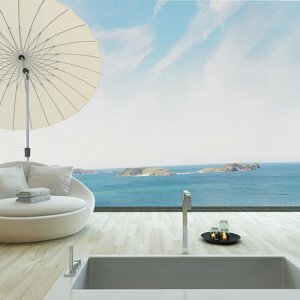 Why not enjoy an appointment in our showroom? It will be our pleasure to inspire and advise you, though of course we hope our website has helped you already. 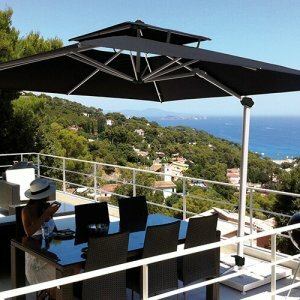 Solero Parasols represents a large choice and honest, solid advice for your situation. We also carry a large stock of spare parts and cloth. 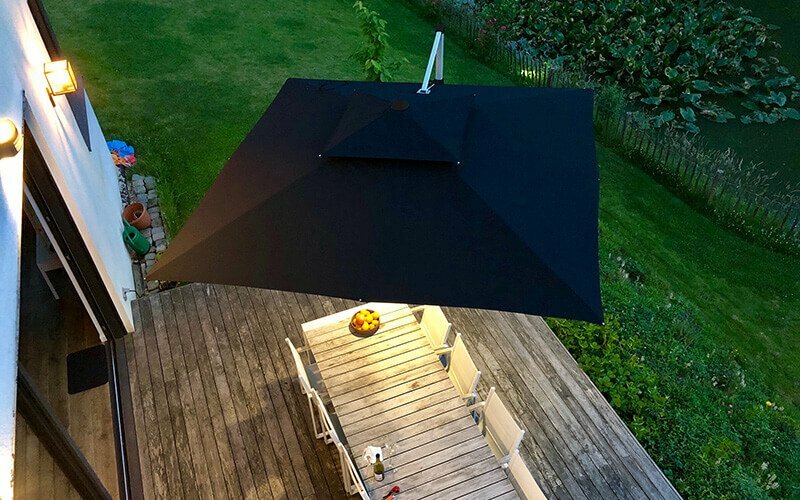 If something bad was to happen to your garden parasol, or you simply want to vary your color, we’ll have it fixed in no time! 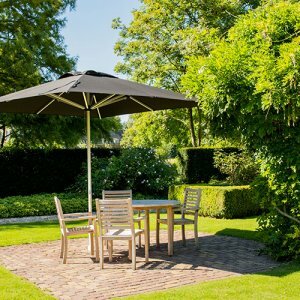 How to find the ideal garden parasol? Our website allows for different sorts of navigation. Using the top menu, you’ll easily find your way to several product categories. Want to see what you’re reading about? Use the photo menu! 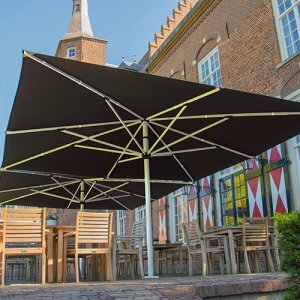 Are you looking for a specific size, or have you already decided to get yourself a round, rectangular or square parasol? 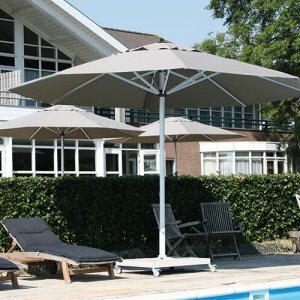 Are you looking for a small or a large parasol? The navigation bar on the right will then be the most convenient for your needs. 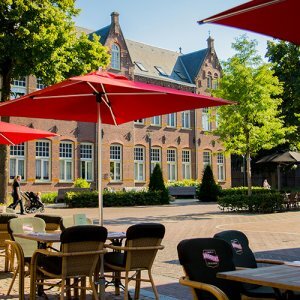 We hope you’ll be inspired by all the information offered on our website and believe in our quality of service. 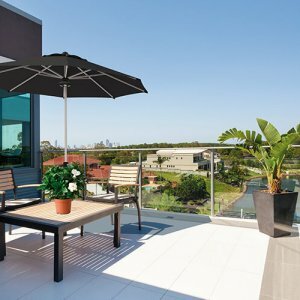 Are you looking for a way to make your terrace the best in town? 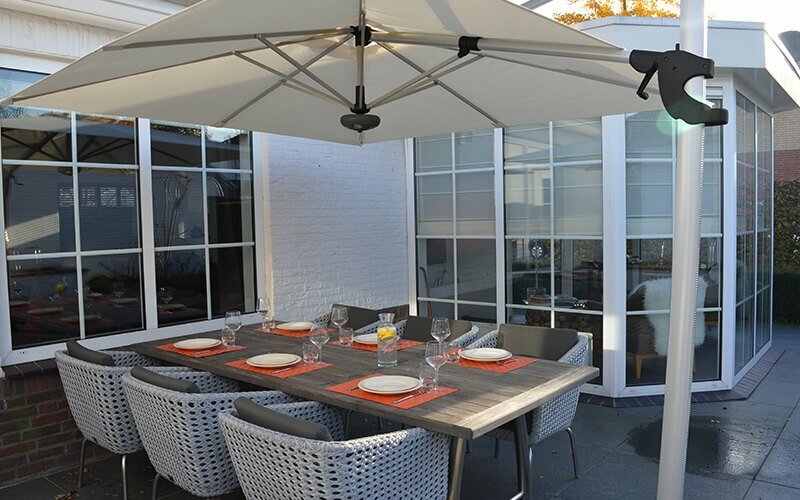 We have enough capacity to take on the largest project, but also add a personal touch to even the smallest terrace. Together we’ll make it happen. 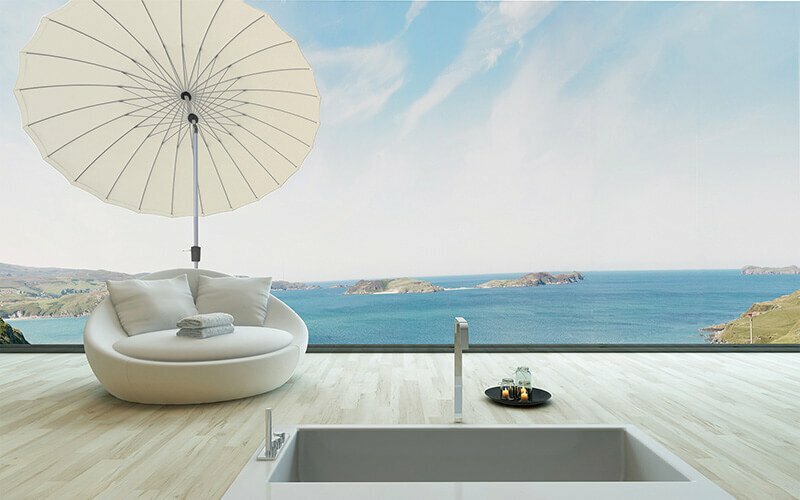 Please get in touch to find out what Solero can do for you.